Earlier this year, just before the building was finished, the building had a Display Energy Certificate (DEC) assessment completed. This is part of a government scheme to raise the public awareness of energy use. You might also remember some of my previous blogs with me getting excited about various energy efficient measures that our new stunning building has. 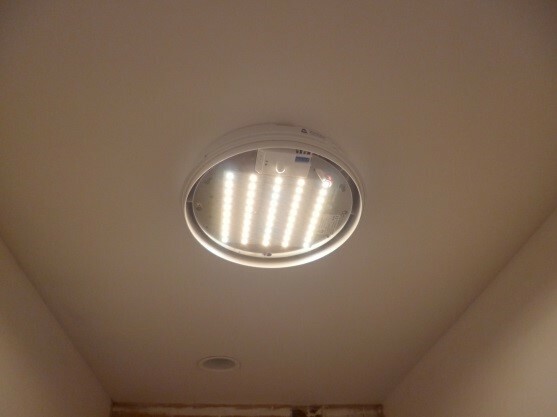 For example, the LED lighting in the toilets, the modern insulation in the roof, the double glazing throughout. I could go on. It was a surprise therefore to see our assessment giving us an ‘E’ rating which was lower than would have been expected for an existing building, and much less than would be expected for a brand new where the typical rating would have been a ‘B’. To be honest, it was bit of a blow. But, I then had a really useful chat with the director from the organisation that did the assessment. All the figures were correct and apparently the ‘killer’ was the electric heating, and he did have lots of good advice. It seems ‘we are where we are’ but it also means two things. Firstly, the Eco-Centres Award that we are working to is correct to insist that energy is a mandatory subject. Secondly, the actions of users of the centre will be so important to help us keep energy use under control as higher electric bills will ultimately mean higher charges, as well as a higher environmental impact. We have already started doing lots to understand and set up systems to record our energy use, and we plan to communicate regularly with visitors on this subject when we are up and running. The reality is that we will need everyone to help whether that is keeping doors and windows closed when the heating is on, or turning lights off when you have finished in a room. ← It’s bin a beautiful day!